Although there is a progressive deterioration, MS is not fatal with MS patients having about the same life expectancy as the general population. Hence, most MS sufferers have to live with the disease for many years. Mindfulness practices have been shown to improve the symptoms of multiple sclerosis. But it is not known what changes in the patients that mindfulness produces that are responsible for the improvements. One possibility is that mindfulness practice may fundamentally alter the enduring personality characteristics of the patients allowing them to better cope with stress and their disease. In today’s Research News article “Effect of Mindfulness Meditation on Personality and Psychological Well-being in Patients with Multiple Sclerosis.” (See summary below or view the full text of the study at: https://www.ncbi.nlm.nih.gov/pmc/articles/PMC5991502/ ), Crescentini and colleagues recruited adults with Multiple Sclerosis forming a meditation group and a treat-as-usual control group. Meditation training occurred in 8-weekly 2-hour sessions containing training, 30 minutes of meditation followed by discussion. Patients were also asked to meditate daily for 30 minutes at home. The patients were measured before and after training for the Big 5 personality characteristics of neuroticism, conscientiousness, agreeableness, extraversion, and openness and also for self-directedness, cooperativeness, self-transcendence, anxiety, depression, and mindfulness. They found that following meditation practice but not treatment-as-usual, there were significant increases in mindfulness and self-maturity as reflected by the self-directedness, cooperativeness, and conscientiousness and a significant decrease in anxiety levels. Mindfulness training has been previously routinely shown to reduce anxiety levels. The changes in personality characteristics produced by meditation in multiple sclerosis patients are interesting and have not been previously reported. The changes in the personality characteristics reflect an increased self-maturity in the patients. The increased conscientiousness, self-directedness, cooperativeness suggests that the meditation practice improves the patients’ ability to take control of their situation and feelings. These appear to result from the increases in thoughtfulness, impulse control, goal-directed behaviors, organization, and mindfulness of details. This greater self-maturity would allow them to better cope with their disease. This is important for effectively living with this life-long disease. So, improve the psychological well-being of patients with Multiple Sclerosis with meditation. Personality changes, a common symptom in patients with MS, are often associated with poor coping and reduced quality of life. We exposed patients with MS to an 8-week mindfulness-oriented meditation course and evaluated the effects on personality traits and anxiety and depression symptoms. Mindfulness-oriented meditation led to changes in personality/character traits reflecting the maturity of the self at the intrapersonal and interpersonal levels and also led to decreases in trait anxiety. Varied evidence shows that mindfulness-oriented meditation improves individuals’ mental health, positively influencing practitioners’ personality profiles as well. 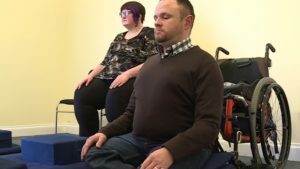 A limited number of studies are beginning to show that this type of meditation may also be a helpful therapeutic option for persons with multiple sclerosis (MS). Although there is a progressive deterioration, MS is not fatal with MS patients having about the same life expectancy as the general population. Hence, most MS sufferers have to live with the disease for many years. So, quality of life becomes a major issue. Quality of life with MS is affected by fatigue, cognitive decrements, physical impairment, depression, and poor sleep quality. For most MS patients pain accompanies the disease and in about a third of patients the pain is clinically significant. There is a thus a critical need for safe and effective methods to help relieve pain in MS sufferers. Mindfulness practices have been shown to relieve pain from a number of different conditions and also to improve the symptoms of multiple sclerosis. It has yet to be demonstrated that mindfulness can reduce the pain in MS patients. In today’s Research News article “Association Between Pain and Mindfulness in Multiple Sclerosis: A Cross-sectional Survey.” (See summary below or view the full text of the study at: https://www.ncbi.nlm.nih.gov/pmc/articles/PMC5825983/ ), Senders and colleagues examine the relationship between the mindfulness of patients with Multiple Sclerosis (MS) and the interference of the pain with daily activities (pain interference). They recruited adult MS patients with average age of 50 years. They measured them for the degree to which pain interfered with their everyday lives and also their levels of mindfulness. They found that there was a highly significant negative relationship between the MS patients’ levels of pain interference and levels of mindfulness such that patients with high levels of mindfulness tended to have low levels of pain interference and patients with low levels of mindfulness tended to have high levels of pain interference. It should be noted that this finding is correlative and causation cannot be concluded. But in previous research mindfulness training has been shown to cause pain reduction in other disorders. This makes it highly likely that mindfulness reduced the pain interference for MS patients. Mindfulness involves an appreciation of the sensations and feelings in the present moment without judging them. This appears to be important to reduce the tendency to magnify the pain by reacting negatively to it and allows the patient to function effectively even with pain. It remains to be shown that training mindfulness in MS patients will reduce their suffering and its interference with everyday living. Chronic pain is a common symptom in people with multiple sclerosis (MS) and often requires a multimodal approach to care. The practice of mindfulness has been shown to decrease the experience of pain in other conditions, yet little is known about the relationship between mindfulness and pain in people with MS. The objective of this study was to evaluate the association between pain interference and trait mindfulness in people with MS. In this cross-sectional survey, 132 people with any type of MS completed the Patient-Reported Outcomes Measurement Information System Pain Interference scale and the Five Facet Mindfulness Questionnaire. Linear regression was used to test the association between pain and mindfulness while adjusting for demographic and MS-related characteristics. The relationship between pain and mindfulness was clinically meaningful and highly significant (t = −5.52, P < .0001). For every 18-point increase in mindfulness scores, pain interference scores are expected to decrease by 3.96 (95% CI, −2.52 to −5.40) points (β = −0.22, P < .0001). The adjusted model, including age, type of MS, the interaction between mindfulness and age, and the interaction between mindfulness and MS type, explains 26% of the variability in pain interference scores (R2 = 0.26). These results suggest a clinically significant association between mindfulness and pain interference in MS and support further exploration of mindfulness-based interventions in the management of MS-related pain. Although there is a progressive deterioration, MS is not fatal with MS patients having about the same life expectancy as the general population. Hence, most MS sufferers have to live with the disease for many years. So, quality of life becomes a major issue. Quality of life with MS is affected by fatigue, cognitive decrements, physical impairment, depression, and poor sleep quality. There is a thus a critical need for safe and effective methods to help relieve the symptoms of MS and improve quality of life. Mindfulness practices have been previously shown to improve depression, sleep quality, cognitive impairments, emotion regulation, and fatigue. It has also been shown to improve the symptoms of multiple sclerosis. Yoga is a mindfulness practice that has the added feature of exercising and stretching the muscles. It would seem likely that yoga practice might be an ideal treatment for improving the quality of life and lessening symptoms in patients with multiple sclerosis. 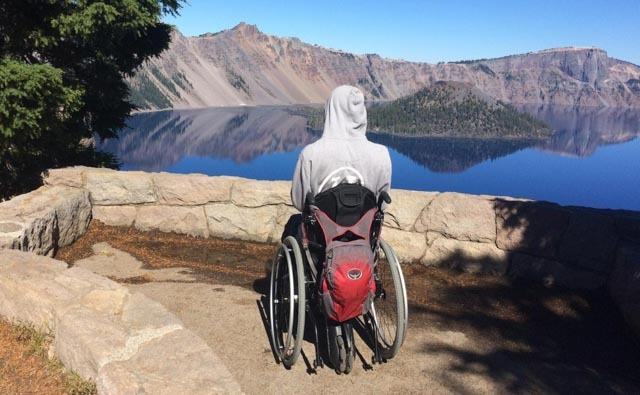 In today’s Research News article “Mindfulness in Motion for People with Multiple Sclerosis: A Feasibility Study.” See summary below or view the full text of the study at: https://www.ncbi.nlm.nih.gov/pmc/articles/PMC5649345/, Gilbertson and Klatt examined the combination of meditation and chair yoga practice which in the treatment of multiple sclerosis. They called this program “Mindfulness in Motion.” In a pilot feasibility study, they recruited patients with multiple sclerosis and provided them with 8 weeks of the “Mindfulness in Motion” program. The program met once a week for one hour and participants were expected to practice at home for 20 minutes every day. Participants were measured before and after the 8 weeks of practice for mindfulness, fatigue, anxiety, depression, behavior control, and positive affect, physical functioning, role limitations due to physical problems, bodily pain, general health perceptions, vitality, social functioning, role limitations due to emotional problems, and mental health. They found that compared to baseline after completing the “Mindfulness in Motion” program the participants showed significant improvements in physical functioning, role-physical, vitality, mental health, anxiety, depression, and positive affect and cognitive and psychosocial fatigue and mindfulness including observing, acting with awareness, nonjudgment, and nonreactivity. Hence, after the 8-week “Mindfulness in Motion” program the participants showed marked and significant improvements in the psychological symptoms of multiple sclerosis. It needs to be kept in mind that this study was a pilot feasibility study that did not have an active control condition, so conclusions must be made carefully. But, this is an extremely encouraging first step that suggests that the combination of two practices which individually produce symptom relief, meditation and chair yoga practice, is a particularly effective treatment for the psychological symptoms of multiple sclerosis. So, improve multiple sclerosis with meditation and yoga. Mindfulness in Motion is an 8-week mindfulness-based intervention that uses yoga movement, mindfulness meditation, and relaxing music. This study examined the feasibility of using Mindfulness in Motion in people with multiple sclerosis (MS) and the effect of this program on stress, anxiety, depression, fatigue, and quality of life in people with MS.
Twenty-two people with MS completed the 8-week mindfulness program as well as assessments 1 week before and after the intervention. Pre/post comparison of four self-reported questionnaires—the Mental Health Inventory, 36-item Short Form Health Status Survey, Modified Fatigue Impact Scale, and Five Facet Mindfulness Questionnaire—showed significant improvement in physical functioning, vitality, and mental health. Specifically, improvements were seen in anxiety, depression, and positive affect; cognitive, psychosocial, and overall functioning regarding fatigue; and mindfulness in the areas of observing, acting with awareness, nonjudgment, and nonreactivity. Due to the uncertainty in disease progression associated with MS, and the multiplicity of mental and physical symptoms associated with it, programming that addresses anxiety, depression, and fatigue is a key area of future research in MS disease management. Mindfulness in Motion proved to be a feasible program yielding positive results, supporting the need for research to determine the extent to which the program can improve quality-of-life outcomes for people with MS. Although there is a progressive deterioration, MS is not fatal with MS patients having about the same life expectancy as the general population. Hence, most MS sufferers have to live with the disease for many years. So, quality of life becomes a major issue. Quality of life with MS is affected by fatigue, physical impairment, depression, and poor sleep quality. In addition, there are marked deficits in cognition in around half of MS patients that include impairments in memory, information processing speed, executive functioning, attention, and verbal fluency. There is a thus a critical need for safe and effective methods to help relieve the symptoms of MS and improve quality of life. Mindfulness has been previously shown to improve depression, sleep quality, cognitive impairments, emotion regulation, and fatigue. It has also been shown to improve the symptoms of multiple sclerosis. In today’s Research News article “The Effectiveness of Mindfulness-Based Stress Reduction on Psychological Distress and Cognitive Functioning in Patients with Multiple Sclerosis: a Pilot Study.” See summary below or view the full text of the study at: https://www.ncbi.nlm.nih.gov/pmc/articles/PMC5605592/, Blankespoor and colleagues investigated the ability of mindfulness training to relieve the psychological symptoms, including cognitive impairments, with Multiple Sclerosis (MS). 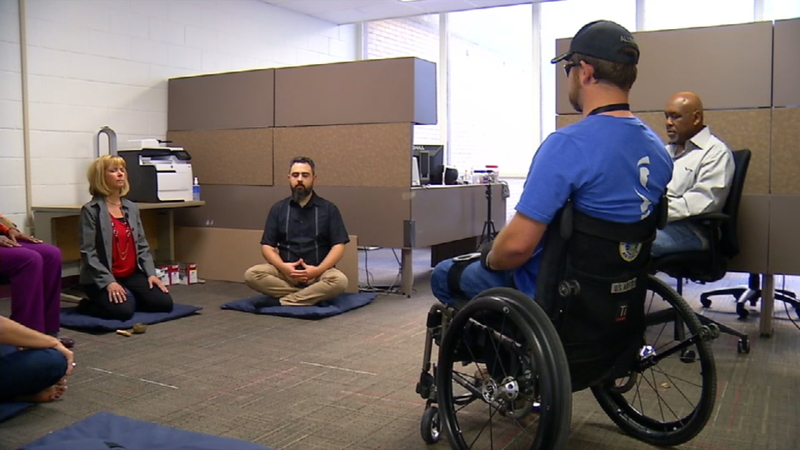 In a pilot study, they recruited patients with MS and provided them with an 8-week Mindfulness-Based Stress Reduction (MBSR) program consisting of meditation, body scan, and yoga practice. The participants met in group sessions for 2.5 hours once a week and also performed home practice. The participants were measured before and one week after training for mindfulness, depression, multiple sclerosis quality of life, fatigue, self-compassion, and cognitive ability including tests of memory, visuospatial memory, processing speed, working memory, attention, and executive function. They found that in comparison to baseline measures, after MBSR training the patients showed significant improvements in their psychological states including their physical and emotional quality of life, self-compassion, and mindfulness. Unfortunately, the patients did not show cognitive impairments at baseline. So, it was not surprising that the only cognitive ability that significantly improved was visuospatial processing. Unfortunately, the study was flawed in a number of ways. In particular the lack of a control comparison condition opens the way for a large number of alternative, confounding, explanations for the results. Also, there was a 30% dropout rate which raises the possibility that only those who felt better continued and were measured after treatment. Finally, the lack of baseline impairment in cognitive abilities precluded the assessment of the effectiveness of MBSR to improve these common symptoms of MS. The study needs to be repeated in a Randomized Controlled Clinical Trial (RCT) with procedures implemented to maximize patient retention and with patients who demonstrate cognitive impairment prior to treatment. Patients with Multiple Sclerosis suffer in many ways and it will be important to determine if mindfulness training can reduce the suffering. Although there is a progressive deterioration, MS is not fatal with MS patients having about the same life expectancy as the general population. Hence, most MS sufferers have to live with the disease for many years. So, quality of life becomes a major issue. Quality of life with MS is affected by fatigue, cognitive decrements, physical impairment, depression, and poor sleep quality. There is a thus a critical need for safe and effective methods to help relieve the symptoms of MS and improve quality of life. Mindfulness has been previously shown to improve depression, sleep quality, cognitive impairments, emotion regulation, and fatigue. It has also been shown to improve the symptoms of multiple sclerosis. In today’s Research News article “Mindfulness-based cognitive therapy severely fatigued multiple sclerosis patients: A waiting list controlled study.” See summary below or view the full text of the study at: https://www.medicaljournals.se/jrm/content/html/10.2340/16501977-2237, Hoogerwerf and colleagues recruited patients with multiple sclerosis and kept them on a waiting list for 10 weeks and then provided them with 10 weeks of Mindfulness-Based Cognitive Therapy (MBCT) in groups of 12. MBCT involves mindfulness training, containing sitting and walking meditation and body scan, and cognitive therapy to alter how the patient relates to the thought processes that often underlie and exacerbate psychological symptoms. They were measured at baseline after the 10-week waiting period, after treatment and 3 months later for fatigue, mindfulness, anxiety, depression, quality of life, sleeping problems, daily cognitive mistakes, catastrophizing, coping styles, and cognitive ability. They found that during the 10-week waiting period symptoms generally did not significantly change, but after the MBCT training there were significant improvements in fatigue, mindfulness, anxiety, depression, daily cognitive mistakes, catastrophizing, and emotion focused coping styles. These improvements were sustained at the 3-month follow-up. Hence, MBCT training appeared to produce marked and lasting improvements in the psychological symptoms of multiple sclerosis. There is a need to repeat this study with a stronger randomized controlled clinical trial. The positive results make a compelling case for such a trial. So, improve fatigue and multiple sclerosis psychological symptoms with mindfulness. Fatigue is the most common symptom in multiple sclerosis. Evidence-based treatment options are scarce. To study the feasibility and potential effectiveness of mindfulness-based cognitive therapy in severely fatigued multiple sclerosis patients. Non-randomized pilot study with a wai-ting list control period including 59 multiple sclerosis patients with severe fatigue. fatigue severity subscale of the Checklist Individual Strength-20. Secondary measures: Hospital Anxiety and Depression Scale, Life Satisfaction Questionnaire, subscale sleep of the Symptom Checklist-90, Cognitive Failure Questionnaire, Fatigue Catastrophizing Scale, Coping Inventory of Stressful Situations, and Five Facet Mindfulness Questionnaire-Short Form. Measurements were taken before treatment (double baseline), after treatment, and at follow-up (3 months). Adherence rate was 71%. Eight out of 10 participants who completed the intervention were satisfied with the intervention. Significant time effects were found for 7 out of 11 outcome measures (p = 0.006 to < 0.001). The effect size was moderate for all outcome measures that were significant post-treatment and/or at follow-up (Ƞ² = 0.10-0.17). Improvements were maintained at follow-up. Of the completers, 46% showed a clinically relevant change regarding fatigue. Mindfulness-based cognitive therapy is feasible in severely fatigued multiple sclerosis patients and has positive results in the reduction of severe fatigue and several psychological factors. Although there is a progressive deterioration, MS is not fatal with MS patients having about the same life expectancy as the general population. Hence, most MS sufferers have to live with the disease for many years. So, quality of life becomes a major issue. Quality of life with MS is affected by fatigue, cognitive decrements, physical impairment, depression, and poor sleep quality. There is thus a critical need for safe and effective methods to help relieve the symptoms of MS and improve quality of life over the lifespan. Mindfulness has been previously shown to improve depression, sleep quality, cognitive impairments, emotion regulation, and fatigue. A number of forms of mindfulness training including meditation, yoga, and tai chi have been shown to improve the symptoms of multiple sclerosis. Since, the Mindfulness Based Stress Reduction (MBSR) program incorporates meditation, yoga, and body scan, it may be particularly helpful for patients with MS. In today’s Research News article “Mindfulness-based stress reduction for people with multiple sclerosis – a feasibility randomised controlled trial.” See summary below or view the full text of the study at: https://www.ncbi.nlm.nih.gov/pmc/articles/PMC5434553/, Simpson and colleagues perform a pilot study of the effectiveness of a Mindfulness Based Stress Reduction (MBSR) program for the symptoms of multiple sclerosis. 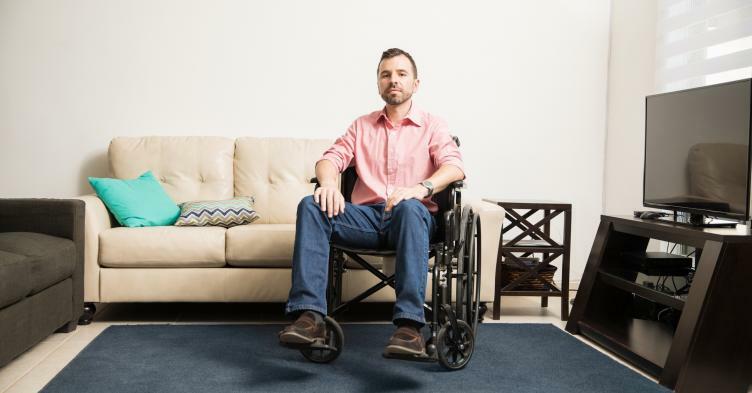 They recruited adults with Multiple Sclerosis and randomly assigned them to either receive 8 weeks, once a week for 90 minutes, of Mindfulness Based Stress Reduction (MBSR) or a wait-list control condition. Patients were encouraged to practice daily at home. They were measured before and after treatment and three months later for perceived stress, quality of life, fatigue mental health, social support, cognitive function, pain, visual function, bladder function, bowel function, sexual satisfaction, mindfulness, self-compassion, and emotional lability. They found that immediately after treatment the MBSR group compared to the wait-list controls had significant improvements in their quality of life with small effect size and in perceived stress, depression, self-compassion, anxiety, and positive emotions with large effect sizes. For the most part these effects were maintained at the three-month follow-up. These results need to be replicated in a large randomized controlled clinical trial with an active control group. The results demonstrate that MBSR has relatively large beneficial effects on the quality of life and psychological well-being of patients with multiple sclerosis that appear to endure, at least for three months after treatment. It will be important to see if continued practice at home can maintain the benefits for long periods of time. The objective of this study was to test the feasibility and likely effectiveness of a standard MBSR course for people with MS. Participant eligibility included: age > 18, any type of MS, an Expanded Disability Status Scale (EDSS). Although there is a progressive deterioration, MS is not fatal with MS patients having about the same life expectancy as the general population. Hence, most MS sufferers have to live with the disease for many years. So, quality of life becomes a major issue. Quality of life with MS is affected by fatigue, cognitive decrements, physical impairment, depression, and poor sleep quality. There is a thus a critical need for safe and effective methods to help relieve the symptoms of MS and improve quality of life. Mindfulness has been previously shown to improve depression, sleep quality, cognitive impairments, emotion regulation, and fatigue. Tai Chi is a mindfulness practice that is also a gentle exercise. It is gentle enough that it doesn’t increase body temperature which can exacerbate MS symptoms. In addition, Tai Chi has been shown to reduce pain and improve balance, reducing falls. So, it would seem likely that Tai Chi might be effective in improving the quality of life and lessening fatigue in patients with multiple sclerosis. Zou and colleagues reviewed the published research literature (10 studies) investigating the effectiveness of Tai Chi practice for patients with Multiple Sclerosis (MS). They found that the published studies provided evidence that Tai Chi practice is safe and beneficial in improving the symptoms of MS. In particular, the literature suggests that Tai Chi practice improves flexibility, leg strength, gait, balance, and quality of life, and reduces pain. Although some evidence exists that it also reduces fatigue, the findings are inconsistent. The research to date appears to support the use of Tai Chi practice to help improve the symptoms of Multiple Sclerosis. An important characteristic of Tai Chi practice is that it is safe, rarely having any adverse consequences. Once learned, it can also be practiced without professional supervision at home or in social groups. This makes it inexpensive and convenient, and perhaps even fun, improving the likelihood of long-term engagement in practice. This is particularly important as MS is a life-long non-fatal disease. Hence, Tai Chi practice would appear to be an excellent mindfulness practice for the improvement of the quality of life of patients with MS. So, improve multiple sclerosis symptoms with tai chi. The aim of this systematic review was to evaluate the existing evidence on the effectiveness and safety of Tai chi, which is critical to provide guidelines for clinicians to improve symptomatic management in patients with multiple sclerosis (MS). After performing electronic and manual searches of many sources, ten relevant peer-reviewed studies that met the inclusion criteria were retrieved. The existing evidence supports the effectiveness of Tai chi on improving quality of life (QOL) and functional balance in MS patients. A small number of these studies also reported the positive effect of Tai chi on flexibility, leg strength, gait, and pain. The effect of Tai chi on fatigue is inconsistent across studies. Although the findings demonstrate beneficial effects on improving outcome measures, especially for functional balance and QOL improvements, a conclusive claim should be made carefully for reasons such as methodological flaws, small sample size, lack of specific-disease instruments, unclear description of Tai chi protocol, unreported safety of Tai chi, and insufficient follow-up as documented by the existing literature. Future research should recruit a larger number of participants and utilize the experimental design with a long-term follow-up to ascertain the benefits of Tai chi for MS patients. MS is a progressive demyelinating disease which attacks the coating on the neural axons which send messages throughout the body and nervous system. It affects about 2 million people worldwide and about 400,000 in the U.S. 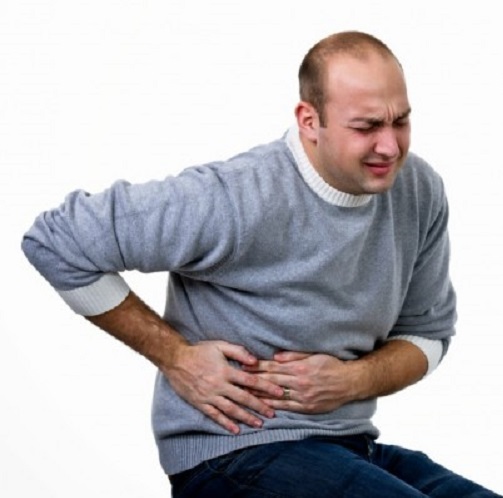 It is most commonly diagnosed in people between the ages of 20 and 50 years. Unfortunately, there is no cure for multiple sclerosis. There are a number of approved medications that are used to treat MS but are designed to lessen frequency of relapses and slow the progression of the disease, but they don’t address individual symptoms. Although there is a progressive deterioration, MS is not fatal with MS patients having about the same life expectancy as the general population. Hence, most MS sufferers have to live with the disease for many years. So, quality of life becomes a major issue. Quality of life with MS is affected by fatigue, cognitive decrements, physical impairment, depression, and poor sleep quality. There is a thus a critical need for safe and effective methods to help relieve the symptoms of MS and improve quality of life. Mindfulness has been previously shown to improve depression, sleep quality, cognitive impairments, emotion regulation, and fatigue. Yoga is a mindfulness practice that has the added feature of exercising and stretching the muscles. It would seem likely that yoga practice might be an ideal treatment for improving the quality of life and lessening symptoms in patients with multiple sclerosis. Cohen and colleagues performed a pilot, single-group study, of the effectiveness of a specially designed yoga program for treating patients with multiple sclerosis. They recruited adult patients with multiple sclerosis with moderate disability and provided them with 8 weeks of twice weekly, 90-minute yoga sessions, including breathing practices, postures, meditation, and deep relaxation. 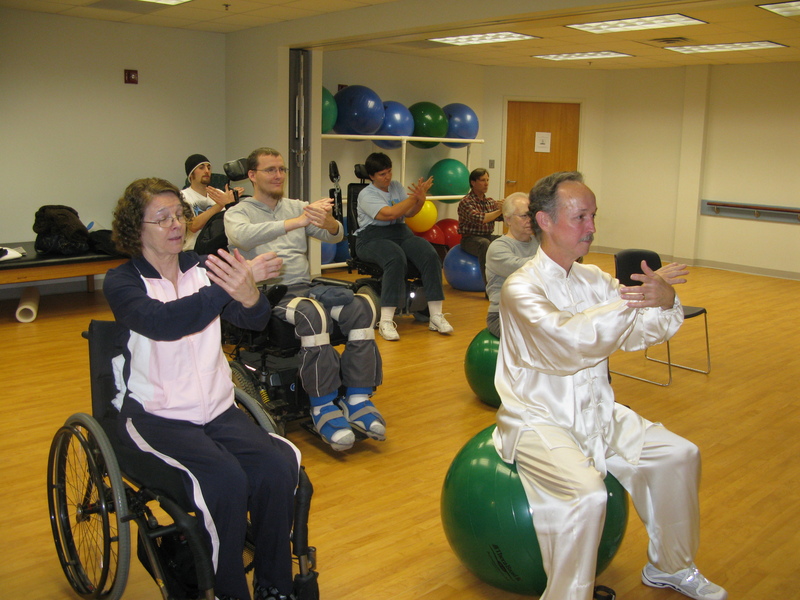 The patients were encouraged to also practice at home. They assessed the feasibility of widespread implementation of such a program with budget utilization, recruitment rates, retention rates, attendance rates, and safety. 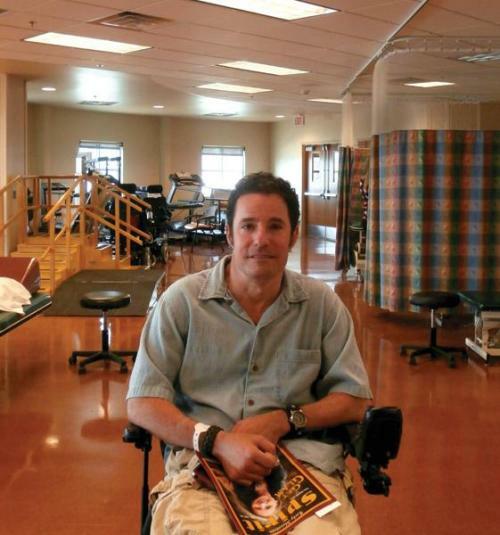 They also assessed the patients’ quality of life, walking ability, extremity function, respiration, attention, and concentration, prior to and after the 8-week program and also 8-weeks later. They found that the program was feasible, as it was implemented with acceptable costs, high participation rates and low drop-out rates, no unexpected adverse effects, and all participants reported home yoga practice. Importantly they found that after the intervention the patients were significantly improved on overall health status, quality of life issues, including bladder control, perceived deficits, and fatigue, standing, walking ability, motor control of both hands, hearing, and seeing. Many of these improvements continued to be significant at the 8-week follow-up. Hence, this pilot study demonstrated the feasibility and potential benefits of yoga for patients with multiple sclerosis. This study did not contain a control condition, so any conclusions must be tempered and recognized as preliminary. Any exercise program might have produced similar benefits. A randomized controlled clinical trial is needed and warranted. But, the results were impressive and suggest that yoga for patients with multiple sclerosis can improve their quality of life and physical and mental ability and well-being. Since, multiple sclerosis produces a life-long disability, and yoga was shown to be both safe and effective, can be practiced at home, and substantially improves quality of life and motor ability, it would seem to be ideal to improve the lives of these patients. So, improve quality of life and performance with multiple sclerosis with yoga. This pilot study determined the feasibility of a specifically designed 8-week yoga program for people with moderate multiple sclerosis (MS)–related disability. We explored the program’s effect on quality of life (QOL) and physical and mental performance. We used a single-group design with repeated measurements at baseline, postintervention, and 8-week follow-up. Feasibility was examined through cost, recruitment, retention, attendance, and safety. Outcomes included the Multiple Sclerosis Quality of Life Inventory (MSQLI), 12-item Multiple Sclerosis Walking Scale (MSWS-12), Timed 25-Foot Walk test (T25FW), 6-Minute Walk Test (6MWT), Nine-Hole Peg Test (NHPT), Five-Times Sit-to-Stand Test (FTSTS), Multidirectional Reach Test (MDRT), maximum expiratory pressure, and Paced Auditory Serial Addition Test-3″ (PASAT-3″). Fourteen participants completed the study. The program was feasible. There were significant main effects on the 36-item Short Form Health Status Survey Mental Component Summary (SF-36 MCS), Modified Fatigue Impact Scale (MFIS), Bladder Control Scale (BLCS), Perceived Deficits Questionnaire (PDQ), Mental Health Inventory (MHI), MSWS-12, T25FW, NHPT, PASAT-3″, 6MWT, FTSTS, and MDRT-Back. Improvements were found on the SF-36 MCS, MFIS, BLCS, PDQ, MHI, and MSWS-12 between baseline and postintervention. The effect on PDQ persisted at follow-up. Improvements were found on the T25FW, NHPT, 6MWT, FTSTS, and MDRT-Back between baseline and postintervention that persisted at follow-up. The PASAT-3″ did not change between baseline and postintervention but did between postintervention and follow-up. The yoga program was safe and feasible. Improvements in certain measures of QOL and performance were seen at postintervention and follow-up.